While California isn’t know for the cold weather, it does occasionally get pretty cold in our houses. If you’re feeling apprehensive towards running your heating, try using a space heater. Space heaters are a great, cost efficient way to warm up the rooms you use the most. You don’t have to spend a lot of money, and if you’re heater is down and you’re low on funds during the holidays, this might be the perfect temporary solution. Space heaters can be a semi-dangerous unless used wisely so it is important to treat it with care. 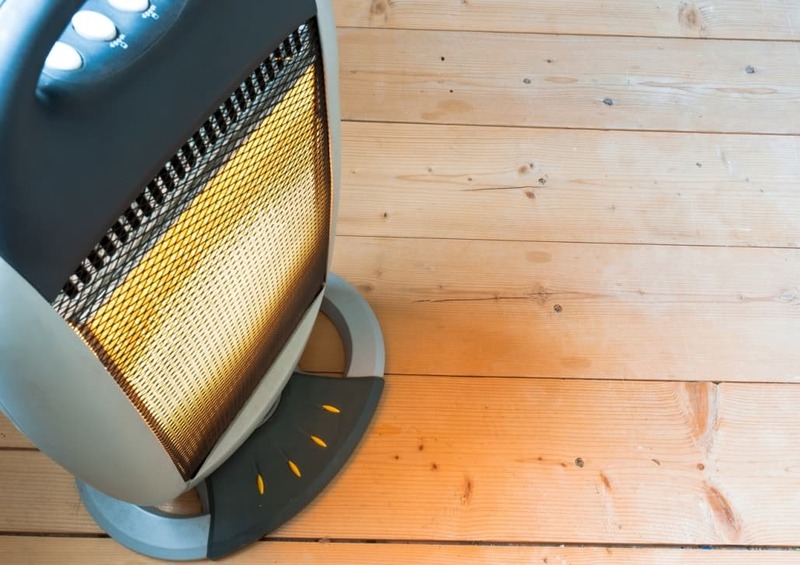 Here’s some tips to staying safe and staying warm with your space heater. Are you trying to heat a whole room or just yourself? If you’re just trying to keep yourself warm in a cold office or your living room, you shouldn’t buy a big one. Buying the wrong size can actually consume more energy and lead to higher bills which is exactly what you’re trying to avoid. The same can be said for the opposite, however. If you’re using a personal heater and expecting it to warm up a huge room, it will end up working harder. To ensure your space heater works safely and efficiently, it is so important that you get the right one for your needs. Pick the right place to put the heater. Plug your heater directly into an outlet. As a general practice, it is most important to plug your heater directly into the wall. This will provide it with the sufficient amount of power and prevent your space heater from overheating, shocking, or causing fires. If you must use an extension cord, take the proper steps to purchase one that is designed to handle heating appliances. Purchase a heater with overheat and tip-over protection. Modern space heaters usually come with a variety of features to ensure you’re protected. Heaters with tip-over protection typically shut off when tipped for any reason. If it comes with overheat protection, it will usually include internal temperature gauges that can decipher when the internal components get too hot. This keeps you and your surroundings safe. If you leave the room or are no longer using it, it’s just best to turn it off. Space heaters heat small spaces relatively quickly so if you need to shut it off, it will likely reheat in no time. Some models even come with timers so you can program safe times for it to be in use. Whether you use a space heater, or your HVAC system, this is the time to get a check up. If your need for a space heater in your home is caused by your heat not reaching a certain place, routine maintenance of your system will likely help solve that issue. A well-oiled machine is going to save you time money, and the hassle of taking preventative measures when using a space heater. Feel free to give us a call whenever you need to stay warm.